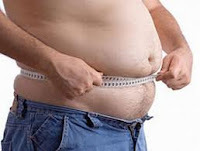 Home » weight gain » Tonsillectomy Causes Obesity? MSNBC published a story on Feb 1, 2011 regarding a new study suggesting a link between childhood obesity and tonsillectomy. What they found was a greater than expected weight gain in both normal weight and overweight children after tonsillectomy over a 6-12 month period of time. In one study, the average body mass index of the kids increased by about 7 percent. In another analysis of 249 children, 50 to 75 percent of kids had weight gain after surgery. While most weight gain happened in the first year after surgery, scientists don't know definitively whether it levels off after that. What is unclear about this research is whether this common surgery to remove tonsils is contributing to the nationwide "epidemic" of obesity. 1) One reason why tonsillectomy is performed is because of difficulty breathing. In this scenario, more calories are expended on trying to breath. After tonsillectomy, all the energy expended on breathing is now being used to gain weight instead. 2) Having difficulty swallowing food due to large tonsils may prevent children from eating very much. In this scenario, after tonsillectomy, the child can now eat without problems leading to eating more and gaining weight. 3) In young and school-age children there's evidence of both a weight gain and a "growth spurt" after tonsillectomy that may be triggered by higher levels of growth factors. One needs to be careful and realize that this study does NOT prove cause and effect. It suggests a possible association and the only way to know for sure if this common surgery actually causes obesity is to perform a double-blinded, placebo-controlled, prospective study... or at the very least, a prospective study (given it will be near-impossible to have a placebo group and be double-blinded... after all, you can just look to know if the tonsils were removed or not). What will likely end up being true is the fact that obesity is due to a number of factors of which tonsillectomy may play one possible role in certain pediatric populations. In the end, more study is needed. Regardless of the cause, perhaps the best advice for parents is to have tonsillectomy done for their child only if it is absolutely necessary and if done, keep an eye on how much they are eating and to encourage healthy eating habits. Read the MSNBC report here.